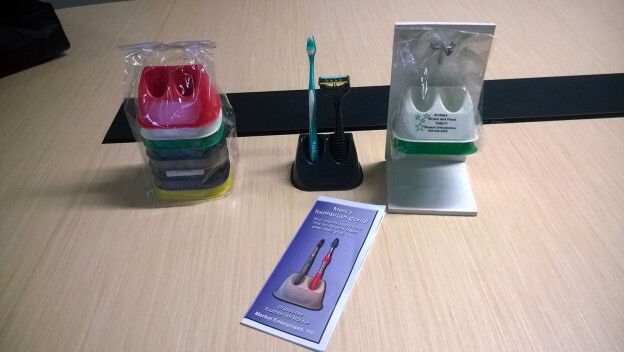 Dr. Merkel gave us an update on his invention, the Toothbrush Corral, at the May 2015 Meetup. He has now gone through the entire invention process–concept development, invention, patent protection, trademark protection, production, packaging, and promotional materials. Now he is entering the sales phase and working on the distribution chain. 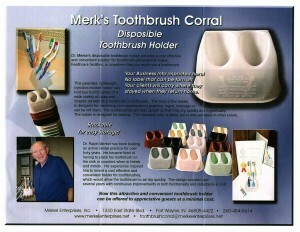 Tri-fold promotional material for the Toothbrush Corral. There was a lot of discussion about all aspects of the invention process. Talk ranged from the amount of time devoted to the project to issues concerning trademark protection. 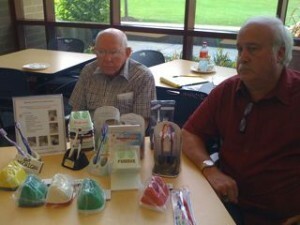 Dr. Merkel also brought samples of the invention, packaging, and promotional materials. It is always nice to hear about an idea, but it is better to be able to see and touch an invention as a way to truly understand how it works. 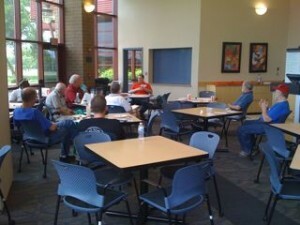 We had a good group at our last meeting, including some new people. 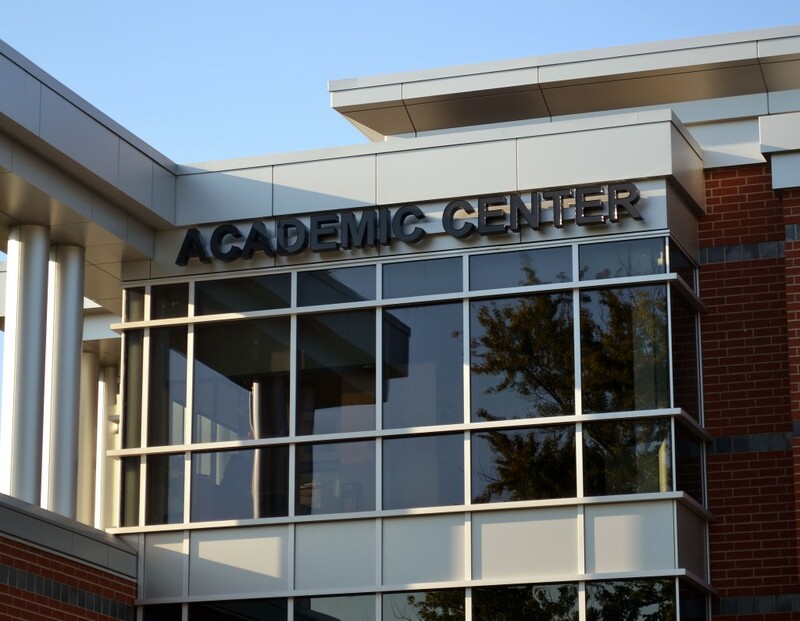 Dr. Ralph Merkel and Dave Byrd gave us an update. 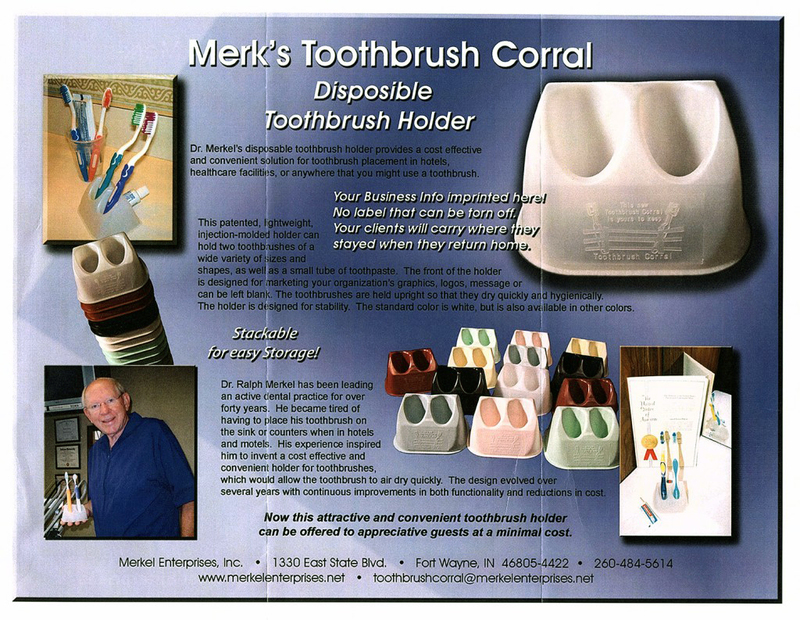 Dave had created a variety of packaging prototypes for Dr. Merkel’s Toothbrush Corral. Very cool, Dave! Dan Templeton facilitated brainstorming of possible brand names or words that could be used in brand names for Dr. Merkel’s product. This entry was posted in Intellectual Property, Invention, Meetings on June 20, 2010 by Admin. 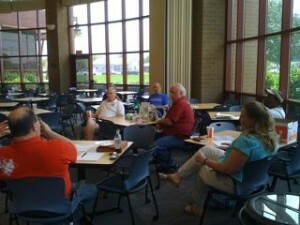 Welcome to the new blog for the Fort Wayne Inventors Club. This entry was posted in Invention on June 15, 2010 by Admin.